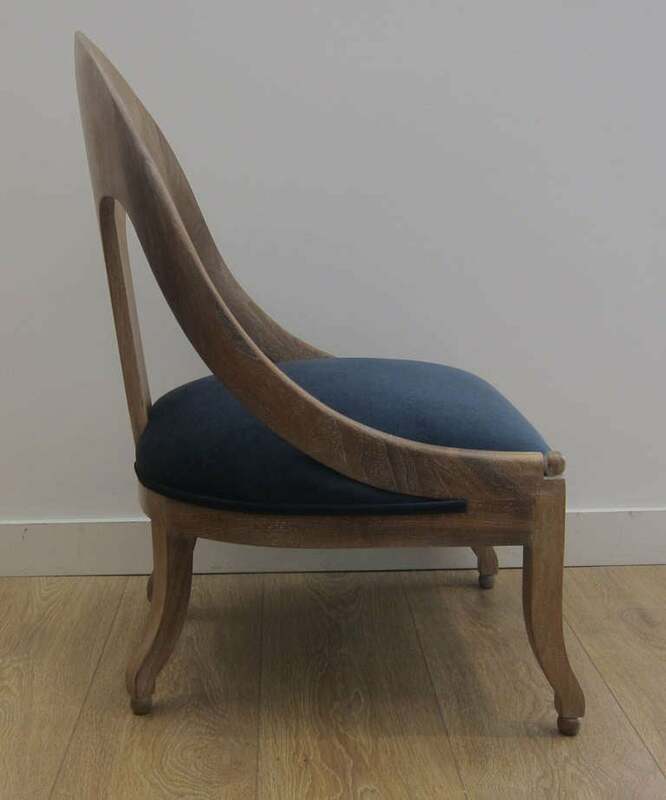 Single Cerused Oak Spoon Back Chair. 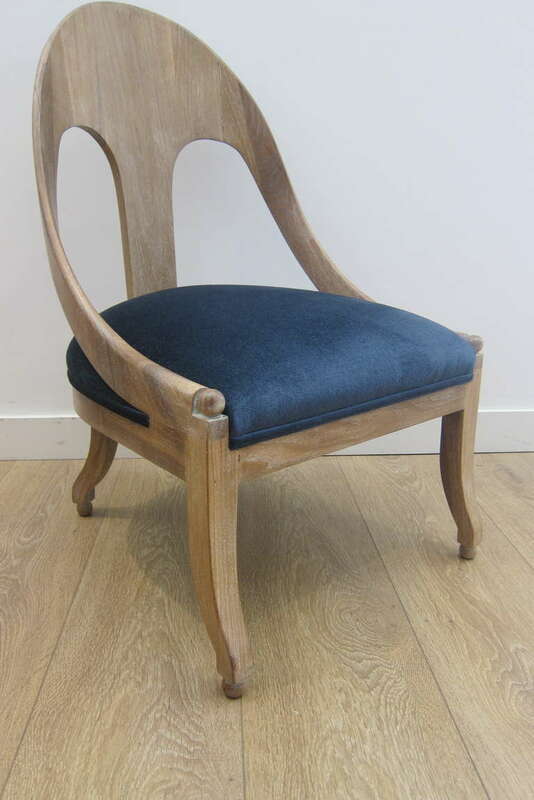 A vintage cerused finish spoon back chair newly upholstered with a blue velvet. 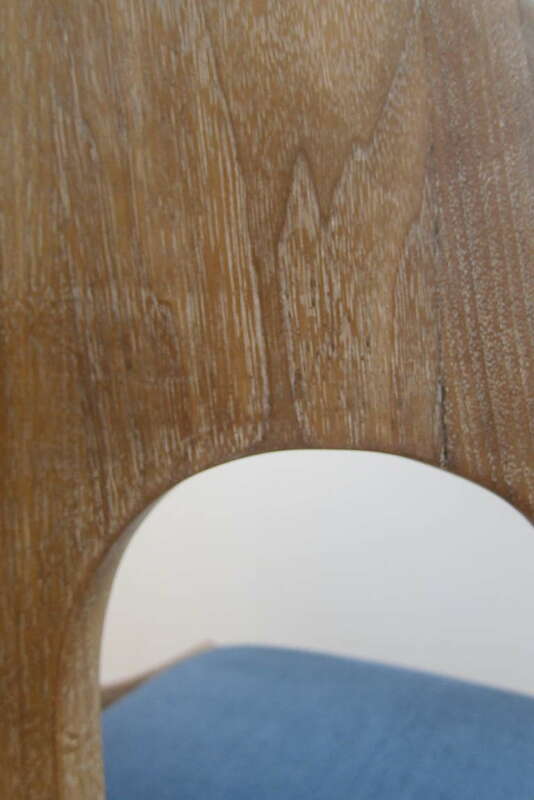 French Art Deco cerused oak desk attributed to Charles Dudouyt, bronze finished pulls, restored to perfection. Beautiful warm patina. FREE SHIPPING, White Glove to Continental US. Newly restored to perfection, a pair of lounge chairs from the "square" series designed by Marco Zanuso for Arflex, circa 1960. 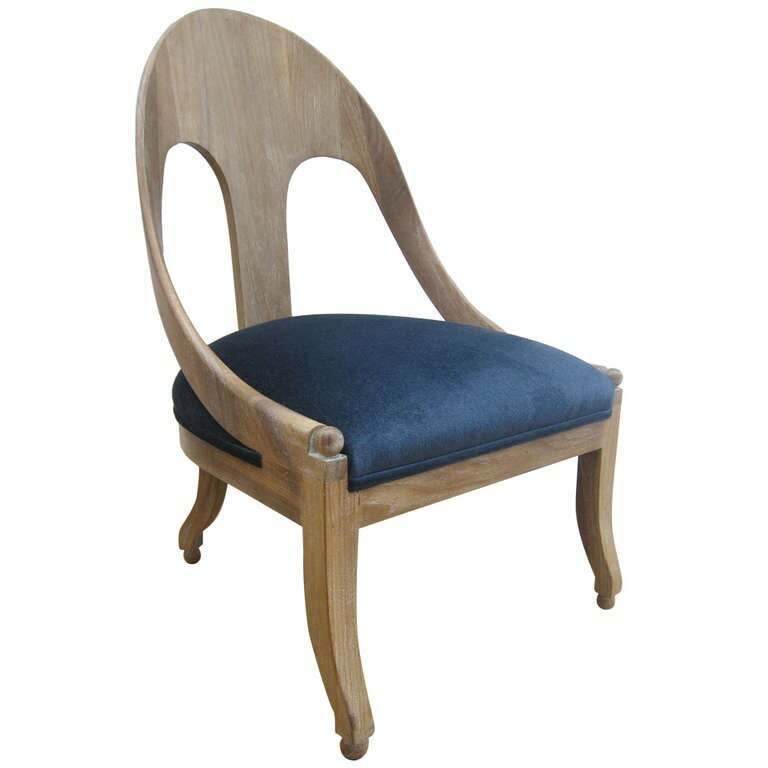 Cerused oak directoire style side chair, curved back with brass nailhead trim on seat back. 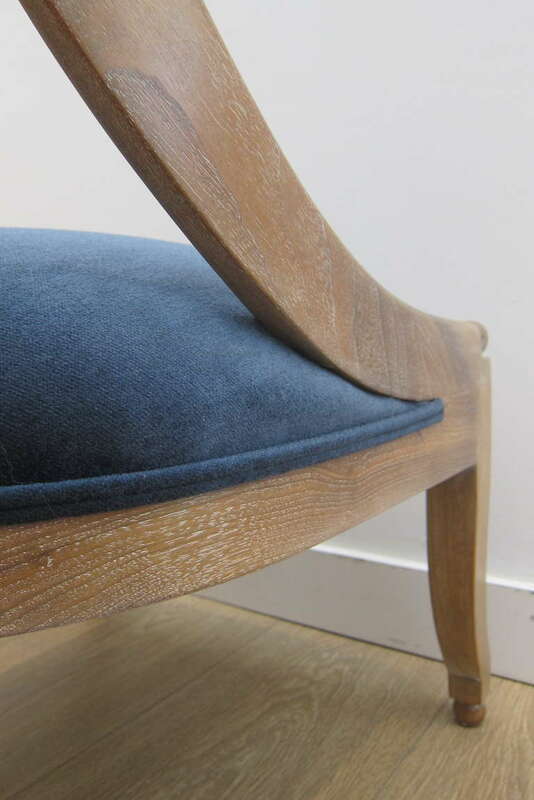 Custom slipper chair by James Dolena. Dark stained wood frame and dark green velvet upholstery. 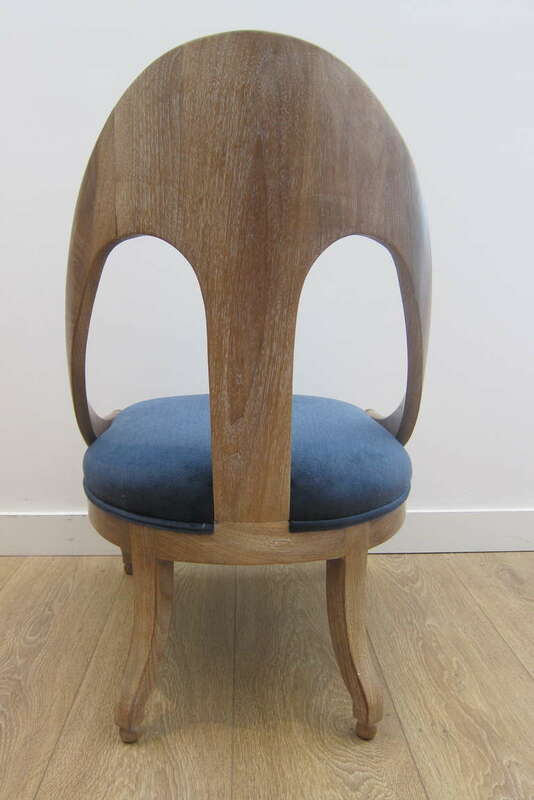 Excellent condition, recently fully restored. From a private commission in Bel-Air, CA.